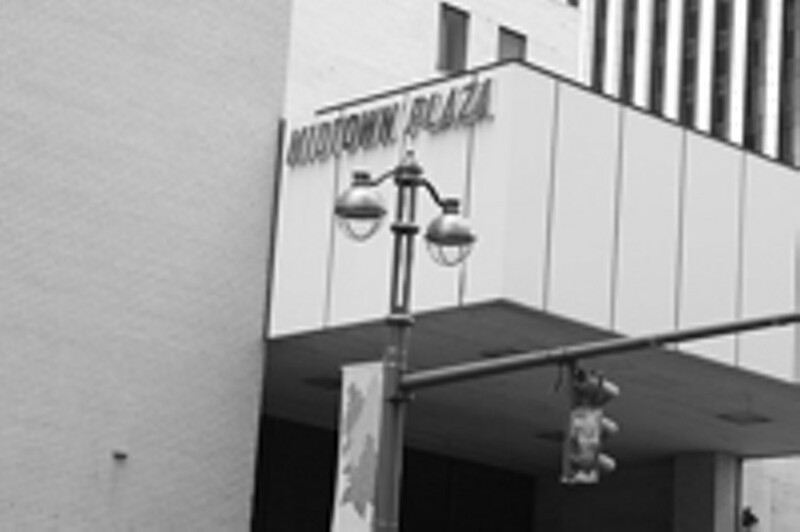 file photo Midtown Plaza has drawn interest from a local developer --- and Parma, Italy. Can an Italian-themed shopping center help restore MidtownPlaza to its former glory? City leaders seem to think so. Riedman Properties LLC and the Province of Parma, Italy, are proposing a joint venture to create a complex consisting of 150 specialty stores and restaurants offering Italian food, fashion, and furniture. The project, called Made in Italy, would use about 400,000 of the mall's 1.2 million square feet. Riedman Properties would develop the project, while officials in Parma would buy the Midtown space, finance the development, and lease out the space. The project would include remodeling the old McCurdy's and Midtown buildings, with storefronts facing the interior. The plan does not include the old B. Forman's building, which now houses Peebles. A City Hall press release called the project "far from being finalized." But city officials are openly enthusiastic. "We see this as a catalyst for the development of the rest of Midtown," City Hall spokesperson Gary Walker said late last week. "The city wanted to have something in place that we could build on." The city has entered into a non-binding agreement with Parma to explore the development. A six-person steering committee will oversee that process: three members appointed by Rochester Mayor Bob Duffy and three appointed by the president of Parma. The city had already secured an option to buy Midtown from its current owner, and it hired Bergmann Associates to do a structural inspection. If the city exercises its purchase option, it will control who ultimately buys Midtown. The intent with any Midtown development, says Walker, is for taxpayers to have minimal financial involvement. "Even though we have taken the step of having the option in place to buy Midtown, we do not want to be owners or managers," says Walker. "It's almost impossible to say there will be no involvement from the public sector, because almost any downtown project requires some. But our goal is to have it privately funded and managed." After years of decline, can a large retail development in downtown Rochester succeed? Apparently developers like Riedman are beginning to think so. Midtown was built when suburban development was in its early stages, notes Malachy Kavanagh, vice president of the International Council of Shopping Centers, a commercial real-estate industry association. Kavanagh says it has become especially hard to build big malls in the suburbs, so developers are beginning to eye urban centers that have gone through decades of neglect. "The industry is maxed out building [malls] in the suburbs," says Kavanagh. Initially, "land was a lot less expensive, and these communities did not have anywhere near the zoning and building regulations that they do today, making it very hard to build and adding some risk to it that wasn't there 30 years ago. That was the whole attraction: you could buy the land cheap and do what you want." But what about the potential for theme-driven retail? Theme retail developments can look and feel implanted, with no historical relevance to the community. Kitschy and out of place, they can quickly bore locals and require droves of tourists to survive. "It's an interesting question, whether the Italian theme will work," says Heidi Zimmer-Meyer, president of the Rochester Downtown Development Corporation. Some theme-type restaurants "have a short shelf-life, three years or so," she says. "But look at Dinosaur Barbeque. They have been here for a while and are still doing quite well. I think the key is that any mall has to refresh its vendors. But in this type of mall, it is especially important, because you wouldn't want people to think that they have been there once and they don't need to go back." The Italian theme would tap into the cultural interests of Rochester's huge Italian population, notes Zimmer-Meyer, and it could attract visitors from Buffalo, Syracuse, and the Southern Tier. "If this project does move forward, we are talking about something that is very original," says Zimmer-Meyer. "The mayor has compared it to the DisneyEpcotCenter, and if that's the case, we can't handle the marketing the way we did with the ferry. We have to do a much, much better job of marketing Rochester in a way that leverages off of all the attractions that we have --- Strong Museum, the Eastman House, Artisan Works, Garth Fagan, the wine country. How would anyone know that we have all of this to do here?" Retail has historically been dependent on local shoppers, says Kavanagh, but the field is changing dramatically. With the popularity of the internet, he says, the job of attracting shoppers to malls is different than it was 10 years ago. And theme malls are finding a niche. Kavanagh, who is familiar with Upstate New York, says a theme mall might be successful in Rochester. But he has some qualifiers: it will require a design that creates a total experience. And don't expect a mall by itself to drive tourism, he says. It should instead be part of what he calls the "culture mix" that draws people to downtown renewal areas. "Malls as tourist attractions: I would say there hasn't been much of that until recently," says Kavanagh. "There is a trend that has started in some cities like Vegas, Miami, and Los Angeles that already have huge tourism economies where theme retail has done very well. But they are exceptionally designed and conceptually unique. Look, you have people in Vegas standing there getting their photos taken next to the EmpireStateBuilding. They know they aren't in New York City, but they are having the Big Apple experience. I don't think it's what drew them to Vegas, but it is clearly an attraction." Redeveloping Midtown won't be a simple project. The plaza consists of five buildings and an 1800-space underground garage. It was built in 1962, and is in need of repairs. And hazardous materials such as asbestos and lead paint were used in its construction. "We know the remedial work at Midtown is daunting," says Zimmer-Meyer, "but it is not unusual for a project of this scale." "We've had inspectors who have been asked to look at the structures from an engineer's standpoint, going beyond what you can see from the outside," says Deputy Mayor Patricia Malgieri. And, she says, "The investors have looked at the preliminary reports and are still interested." Also an issue: control of the Midtown garage, which the city owns. "We have to make sure that the underground parking garage remains open to everyone in that area, because it is vital to all of those buildings," says Malgieri. "We couldn't have something where only the people who are going to the shopping center are allowed to use it." Zimmer-Meyer is concerned about the short window on the city's option to buy Midtown. It expires in mid-February. The city "may have to look at purchasing it," she says, "because if it expires and there is known interest in it, the terms could keep changing." While Kavanagh is not as bullish as Zimmer-Meyer is about a theme mall becoming a regional tourist destination, he is bullish about mixed commercial use for downtown. "There is a growing interest in returning to these abandoned urban centers for the culture, the nightlife, and the excitement," he says. "Just as you have these suburban towns saying no to more development, you've got city mayors aggressively courting it. And multi-use is the buzz right now. It's not one thing or the other. You can't build new lofts, townhomes, and condos downtown without something for people to do once they get there. It's got to be something more than what the suburbs already offer. And if it's going to include retail, there's so much competition that it's got to be unique." Former Monroe County Executive Jack Doyle is apparently involved in the Midtown Riedman-Parma project. The Rochester Business Journal, which broke the Midtown development story on December 29, reported that Doyle is connected to the project, but didn't say how. Doyle is known to be close to John Riedman, chief executive of Riedman Corporation. David Riedman, John Riedman's son, is chief executive of Riedman Development. "Doyle was mentioned in a release by Parma officials earlier this year that noted initial talks with officials in WestchesterCounty where a Made in Italy project was considered," wrote the RBJ's Mary Stone. Doyle was recently sighted at City Hall, however. And city attorney Tom Richards says Doyle became aware of Parma's interest in such projects when he attended a presentation by Parma officials at a meeting of county officials from around the state.